The clock is ticking and the deadline to register at the early bird-rate for the AIRA 2018 National Meeting is fast approaching! View the preliminary agenda and register today, before the Sunday, June 10 deadline sneaks up on you. And while you’re at it, reserve a hotel room at the discounted AIRA rate of $179. You can book online or call the Little America Hotel at 800-437-5288 and mention the AIRA room block. A credit card is required to secure your room reservation but is not charged until checkout. You can still affirm your commitment to the IIS community by sponsoring the AIRA 2018 National Meeting. Become a sponsor today! We look forward to welcoming you to Salt Lake City! The AIRA Technical Assistance Team will be hosting Aggregate Analysis Reporting Tool (AART) Clinics at the upcoming AIRA National Meeting in Salt Lake City. Receive an individualized check-in with an AIRA technical analyst where you can learn more about how to improve your HL7 interface or transport method. Your check-in will be specific to your IIS, so bring all your questions. Questions can range from how to make the best use of your test results to how to manage participation and sharing settings in AART. Please coordinate with your colleagues to choose an appointment time that works best for all of you since only one session will be offered for each IIS. IIS vendor sessions will also be available by request. Clinic appointments will be set for 15- or 30-minute time slots. An online sign-up form has been emailed to AART admin users. If you have questions or comments about these clinics, please contact Tracy Little. AIRA has launched a geocoding contest! This contest is to incentivize participation in SmartyStreets, the no-cost address cleansing and geocoding service available to all IIS programs. The contest will award a gift card to use toward a team lunch, a letter, and certificate of recognition to the IIS team that creates the most innovative map and/or data visualization using geocoded IIS data through SmartyStreets. The winner will be announced at the 2018 AIRA National Meeting. Programs may submit up to three entries. Entries will be judged by a neutral panel of judges selected from the AIRA membership. The contest deadline is Friday, July 20. Full contest details are available here. Each month, the AIRA Monthly Update will deliver a fun clue to guide you in exploring the new AIRA website. The first person to email the correct answer to in[email protected] will get a prize. Congratulations to Laura Barrett from the ‎Kentucky Department of Public Health for being the first person to guess the correct answer to the April clue! AIRA is in the process of compiling comments on the latest Centers for Medicare and Medicaid Services (CMS) proposed rules. CMS released the new proposed rules on April 24th, titled: Medicare Program; Hospital Inpatient Prospective Payment Systems for Acute Care Hospitals and the Long-Term Care Hospital Prospective Payment System and Proposed Policy Changes and Fiscal Year 2019 Rates; Proposed Quality Reporting Requirements for Specific Providers; Proposed Medicare and Medicaid Electronic Health Record (EHR) Incentive Programs (Promoting Interoperability Programs) Requirements for Eligible Hospitals, Critical Access Hospitals, and Eligible Professionals; Medicare Cost Reporting Requirements; and Physician Certification and Recertification of Claims. May 18, 2018: Community comments were due to AIRA. June 1, 2018, 3 p.m. ET: Compiled comments updated and reviewed with the community via a town hall meeting. June 8, 2018: Edits/additions to compiled draft comments due back to AIRA. June 15, 2018: Final AIRA comments sent to IIS community for integration into jurisdictional comments. June 25, 2018: AIRA comments submitted to CMS. Please send all comments on the proposed rules to Brittany Gyer at AIRA. Additional questions about the process or the proposed rules? Contact Mary Beth Kurilo at AIRA. Thank you in advance for your efforts to ensure the voice of the IIS community is heard. AIRA was pleased to attend, exhibit, and present at the 48th National Immunization Conference (NIC) and the National Adult and Influenza Immunization Summit (NAIIS) May 15-18, 2018 in Atlanta, Georgia. For the first time there was a track dedicated to IIS topics with many fascinating presentations from members of our community. This included presentations from AIRA on a variety of topics: Immunization Information Systems 101, Comparing & Communicating Vaccination Coverage Estimates from IIS & NIS, Assessing Vaccination Coverage Using an IIS, and Learning from Each Other: Best Practices in the IIS Community. 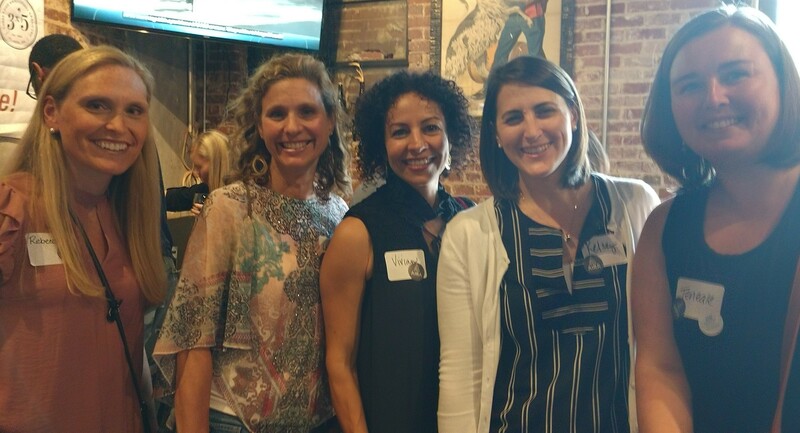 AIRA also co-hosted a reception on Monday evening with the Association of Immunization Managers. Over 200 AIM and AIRA members and partners attended this very successful reception. AIRA and the Measurement for Assessment and Certification Advisory Workgroup (MACAW) are thrilled to release individual IIS Validation results in the Aggregate Analysis Reporting Tool (AART). There are both Basic and Complete levels of Validation for both Submission/Acknowledgement and Query/Response. 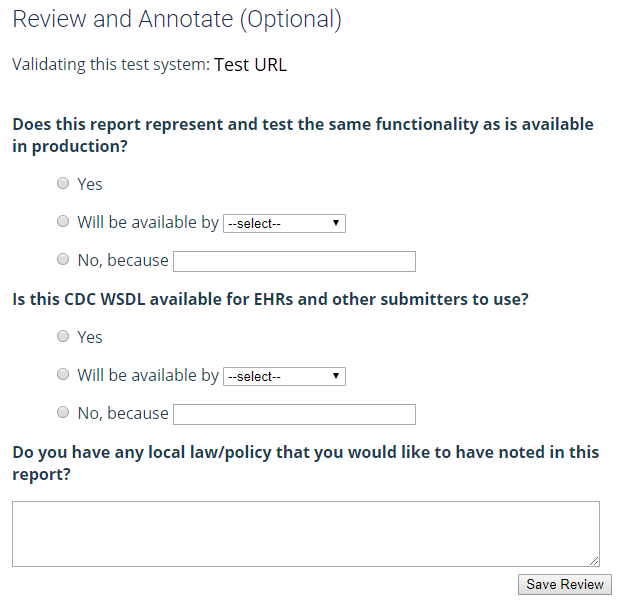 Users are encouraged to review and annotate Validation information. This section can be edited by clicking on your Validation results from your dashboard. Users are also asked to review their results in AART and confirm their participation and sharing settings over the next 30 days before results are shared in AART or elsewhere. Admin users can modify their participation and sharing settings at any time. Visit the AIRA website for additional information on Validation and the Measurement and Improvement Initiative. Please direct feedback or questions to Kristi Siahaya. The next coverage assessment guide, Small Area Analysis to Identify Pockets of Need, has been sent out for external review. Comments, questions, and feedback are due Friday, June 1. The ASC meets quarterly, and the next meeting is scheduled for June 5. The Education Steering Committee did not meet in May due to the National Immunization Conference. The next committee meeting is scheduled for June 20. The Standards and Interoperability Steering Committee (SISC) met on May 9 and reviewed the schedule for providing comments on the proposed CMS rule for AIRA to compile and submit. Initial Transport validation results and the current list of LOINC code groupings were discussed. The committee also received Technical Workgroup and technical assistance updates. The SISC Technical workgroup met on May 23 to review ballot comments, proposed resolutions, and accompanying comments from SISC members regarding sending different types of data, PID-21, and values that can be sent for observations, indications, and contraindications. The MIROW Steering Committee (SC) met on May 10 and discussed the new MIROW topic (business continuity) and the status of the MIROW subgroup projects. Three MIROW subgroups continue to work on: repackaging past guides, creating a common vocabulary document for all MIROW guides, and promoting the work of MIROW. David McCormick (IN) and Miriam Muscoplat (MN) have joined the MIROW SC. The MIROW SC is also in the process of updating the MIROW Charter. click here to subscribe to the AIRA mailing list.